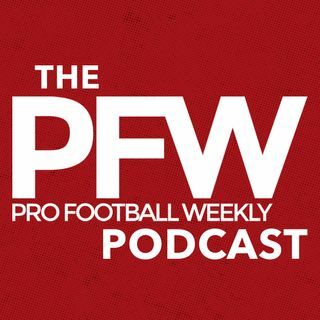 The PFW podcast welcomes 106.7 The Fan's Brian McNally (@bmcnally14) and Roy Cummings of FanRagSports (@RCummingsFRS) for Washington and Tampa Bay offseason reviews. In Washington, McNally explains why Kirk Cousins is speeding toward 2018 free agency, not a new deal prior to the franchise tag deadline, and sizes up the strong roster additions of a GM-less front office, including Jonathan Allen, Terrelle Pryor and more. The Bucs are up and coming — but will Jameis Winston take them where ... See More they want to go? Cummings explains what Winston is working on this offseason and how Gerald McCoy may get the help he needs on defense from Noah Spence, Chris Baker and others. Cummings also shares where Doug Martin is at on his redemption tour and what to expect from first-rounder O.J. Howard.